Will the $33 Cloud FX Unleash a Smartphone Revolution in India? $33 Mobile Phone – Trigger for a Revolution? Is this the beginning of the end for feature phones in India? Unlike mature Western markets, the Indian mobile phone market is still dominated by feature phones (they account for 78% of all cell phones sold in the country). But for millions of poor Indians yoked to antiquated feature phones because a smartphone happens to be out of their reach, the tide could be turning. Thanks to the new Cloud FX mobile phone, the smartphone revolution may have started in Mera Bharat Mahaan. I did not think these tired, old eyes would behold a miracle so fantastic. A smartphone from Intex Technologies running Firefox OS debuted in India today for a mere $33 (Rs 1,999) on the Snapdeal.com e-commerce site. No, the Intex Cloud FX is not the greatest or latest model smartphone. And it’s seriously wanting in some respects (horrible in internal storage). But it’s still a touchscreen smartphone and the first mobile phone running the Firefox OS to launch in India (and all of Asia). 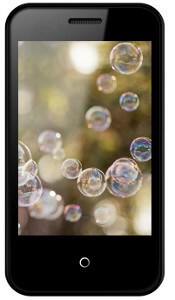 Cloud FX is 90% cheaper than the cheapest iPhone (the iPhone 4, 8GB model) in India. Globally, the smartphone is dominated by two platforms – Google’s Android (Samsung Galaxy, S5, Xiaomi M4, LG G3, Karbonn Titanium S7, etc) and Apple iOS (iPhone 5s, iPhone 5C etc). Android is ahead in shipments while iOS snags most of the profits. The big question now is whether Firefox OS can become the third viable platform (Microsoft’s Windows platform has little chance of upsetting the Android-iOS duopoly). If Firefox OS mobile phones continue to be offered for under $50 with more internal storage and a higher resolution camera, they have an excellent shot at capturing a good chunk of the market in India, Africa and parts of South America. Also will developers build apps for the Firefox OS platform? Finally, will Chinese manufacturers and Indian consumers jump on the Firefox OS platform? If the Cloud FX device works reasonably well, it should herald the beginning of the smartphone revolution in India.